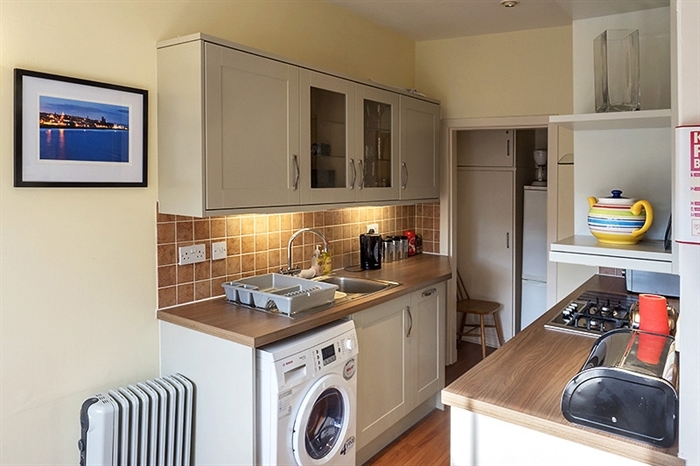 This centrally located, compact, contemporary flat is ideally situated for the town centre, the beach and the Old Course which is just a 7-iron away. With two double bedrooms, it is ideal for couples. We welcome visitors from abroad and many of our guests are regulars. 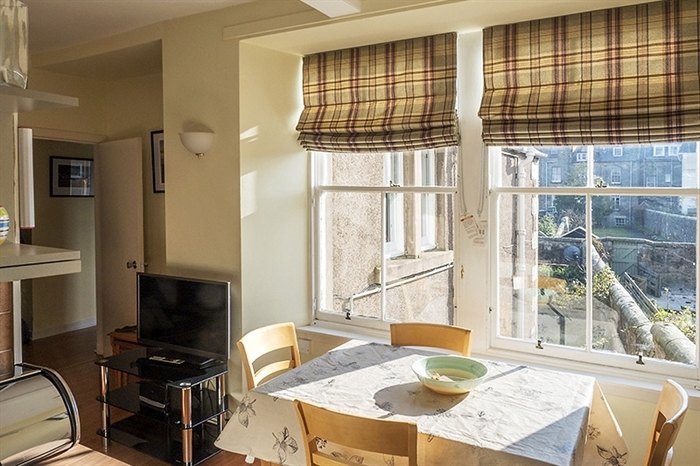 Bright, attractive 1st floor flat located in a Victorian House on The Scores, St Andrews. 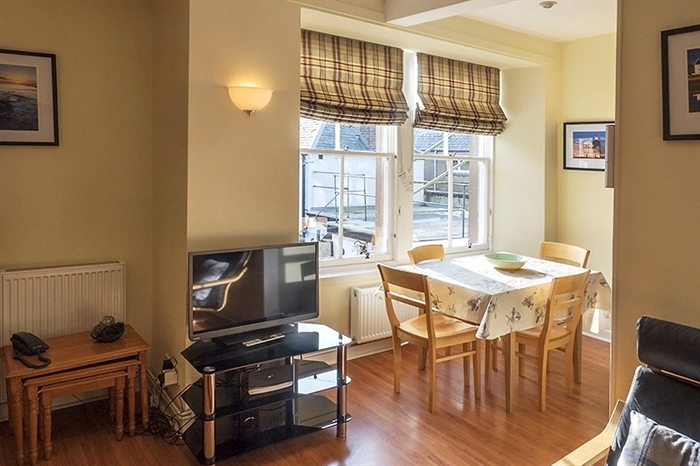 A few minutes walk from the famous Old Course and ideally situated for the beach and historic town centre. 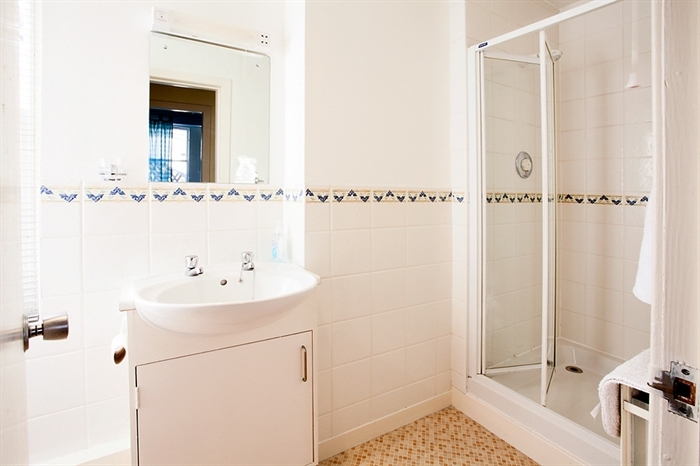 The apartment has been refurbished to a high standard and can accommodate a maximum of 4 people. There are two bedrooms, both with double beds. 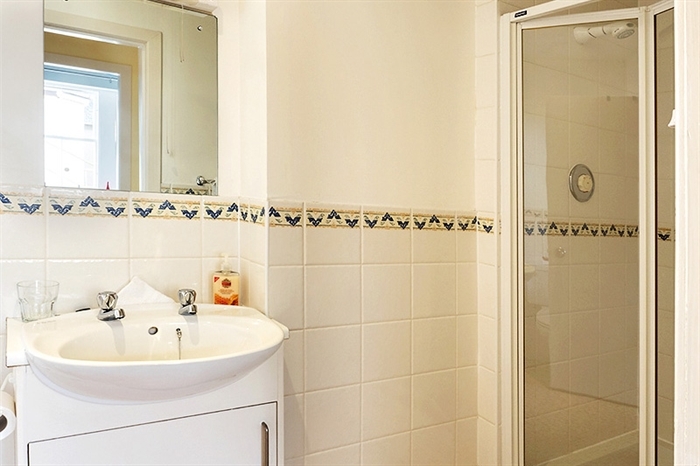 The master bedroom has an en-suite shower and the second bedroom has a washbasin. The living room is divided into the lounge area with a sofa bed, easy chairs, TV and hi-fi and a separate dining area. 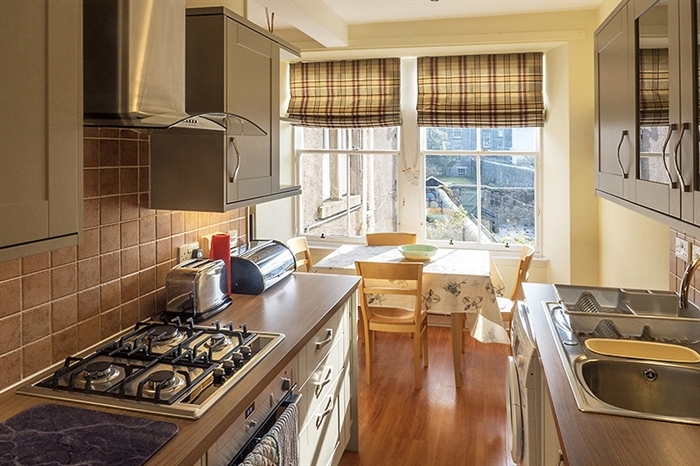 The kitchen is fully-fitted with gas hob, electric fan oven, fridge-freezer, washing machine with dryer. There is an ample supply of crockery, cutlery and cooking utensils, including kettle, coffee-maker and toaster. There is a shower room with power shower, WC, basin and shaving socket. Wood laminate floors are laid throughout the apartment. The apartment is heated by gas central heating. Towels and bed linen are provided. 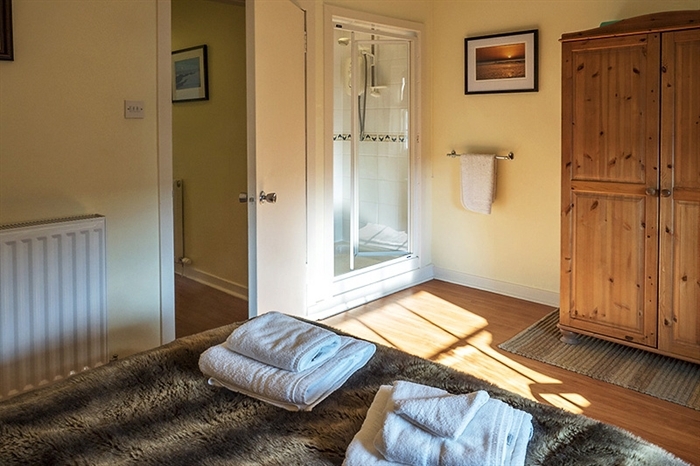 The apartment is available for holiday lets on a weekly basis throughout the year. Bookings are from normally from Saturday to Saturday. However, short breaks of 3 days or more; and other arrival or departure days may be available on request. 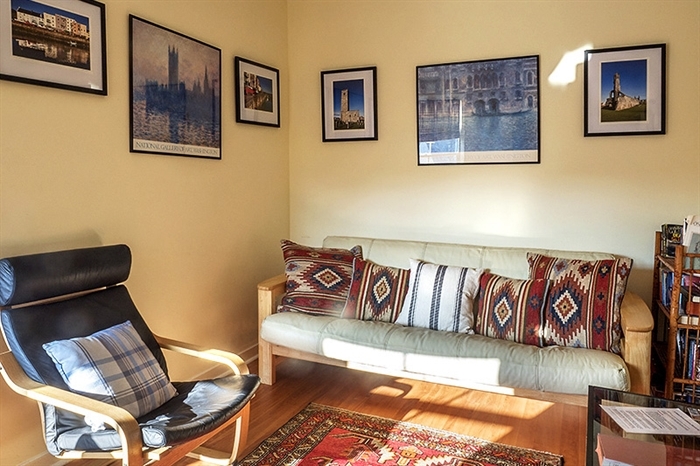 Our current tariff for the holiday apartment can be found on our website. To make a booking or enquiry please see the Bookings & Availability page.